Vernon Ingram was born in 1926 and raised in Salem, Virginia. He was the middle child of nine children. On 8 November 1943, early in his senior year at Andrew Lewis High School, Vern enlisted in the United States Army, joining the Enlisted Reserve Corps (ERC). Subsequent to graduating high school, he entered active duty in the Army Air Corps on 2 August 1944. He completed Army Air Forces Basic Training at Sheppard Field, Wichita Falls, Texas. 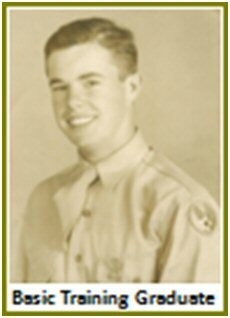 He then completed Flexible Gunnery School at Buckingham Army Air Field, Ft. Myers, Florida, earning the Gunner Badge. He would go on to fly on a B‑29 Superfortress Heavy Bomber as the left side turret gunner. After a year of training he arrived at North Field, Guam. He flew on a single designated Combat Mission to drop supplies to a POW camp in Japan. 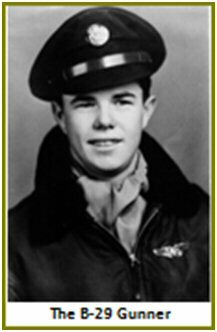 He also flew on several reconnaissance missions, among his four total missions flown prior to the signing of the instruments of surrender in Tokyo Bay, 2 September 1945. All total Vern flew almost 250 hours on over 100 B-29 flights, as well as 21 hours on 7 separate B‑24 flights in training. Vern served for one year on Guam, re-deployed, and was discharged from active duty at Ft. Bragg, North Carolina on 28 August, 1946, at the rank of Staff Sergeant. Vern was re-called to active duty in the U.S. Air Force on 5 September, 1950. He served for a year at Randolph Air Force Base in San Antonio, Texas as a Staff Sergeant in a Training Squadron. He was discharged from active duty for the last time on 3 September, 1951. In total, Vern served 3 years of active duty, including one year overseas, and over 6 more years in the inactive reserves. 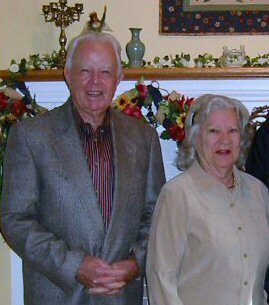 He married his wife, Clara Alberta Deer, in August 1947 in Roanoke, Virginia. They have been married over 63 years. They have two children and two grandchildren. Vern began what would be a 34 year career in the National Park Service in January 1948 on the Blue Ridge Parkway. His Park Service career took him and family to Cumberland Gap, Tennessee; Richmond, Virginia; and finally Atlanta, Georgia. He culminated his service as an accomplished and widely recognized contracting officer and property manager for the Southeast Regional Office. Over time Vern’s hobbies have included bowling and golf, fishing and hunting, motorcycle riding, and poker. Vern has enjoyed a long and productive retirement in the Atlanta area during which he has further pursued his love of gardening and yard work, and always looked forward to time with his grandchildren. He could always be counted on to help others in need. He chaired and served on many volunteer committees over the years in the Park Service and at each of his churches. Vernon Ingram took his Final Flight on 27 August 2011. Services were held 11 Sept in Loganville, GA.